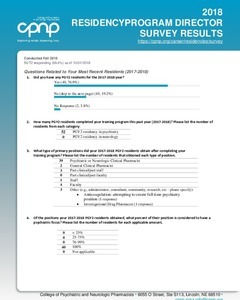 Each fall, the Resident and New Practitioner Committee conducts a survey of program directors to establish emerging trends in psychiatric pharmacy residency programs. * Does not reflect slots filled post-scramble. ** Does not reflect Phase II match.